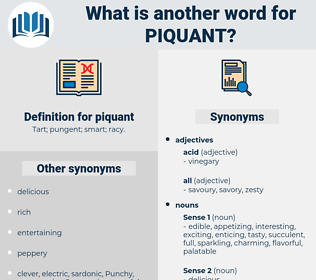 What is another word for piquant? dull, tasteless, flavorless, clean, bland, moral, blah. 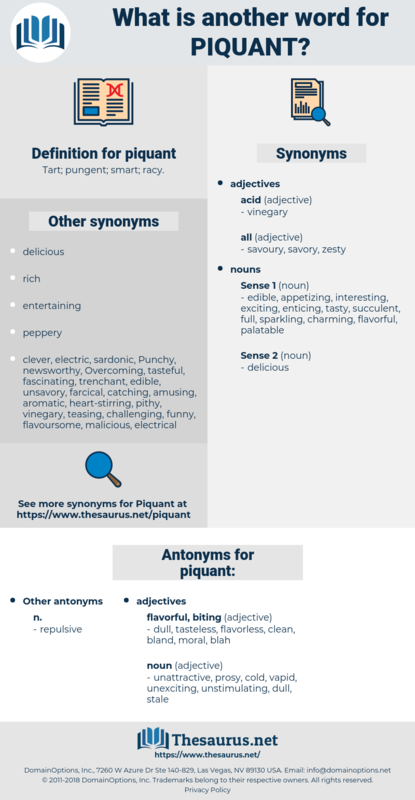 unattractive, vapid, unexciting, stale, prosy, unstimulating, cold. It is something like being under fire, - a sort of excitement, not exactly pleasure, but more piquant than most pleasures.